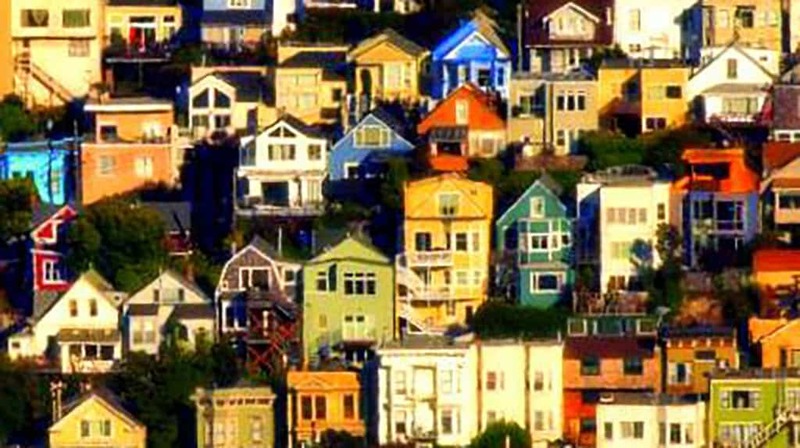 Malvina Reynolds’ folk song, Little Boxes, was based on her observations of urbanization in the San Francisco Bay Area during the early 1960s. Here are the printable lyrics to Little Boxes. And what does her song mean? Reynolds’ point was that despite everyone’s attempt at diversity, everyone is really succumbing to social conformity. Her observations are quite true, even today. Within the song, she likens tract housing to “little boxes”, with her use of “ticky-tacky” referring to shoddy construction materials. 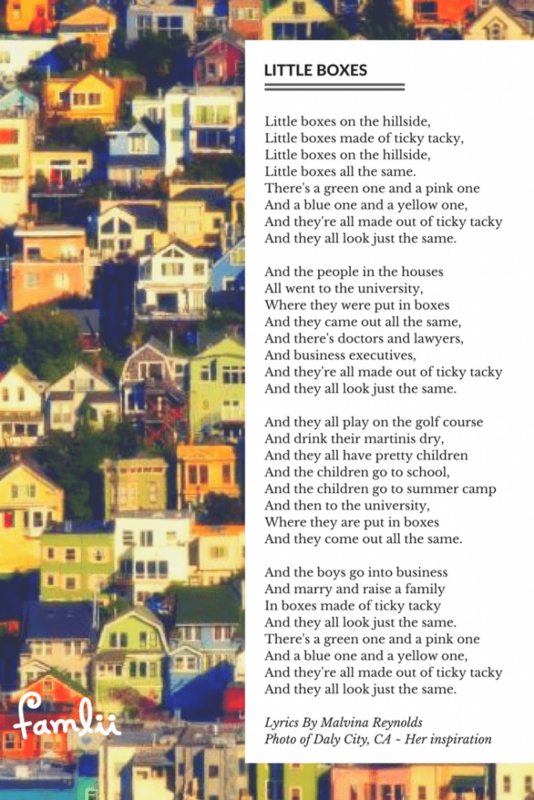 Click to download the pdf printable version Little Boxes Lyrics By Malvina Reynolds.